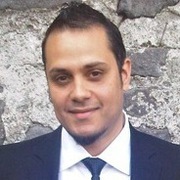 ROBERTO MARTINO. MICKAEL GUIRAND. KENNYWAY. KATALOG & FLAV ON IF "LA RI A" (The Streets) IS IMPORTANT OR NOT TO AN HMI GROUP'S SUCCESS? ROBERTO MARTINO. MICKAEL GUIRAND. KENNYWAY. KATALOG. FLAV on if it's important for a band to have "LA RI A"!